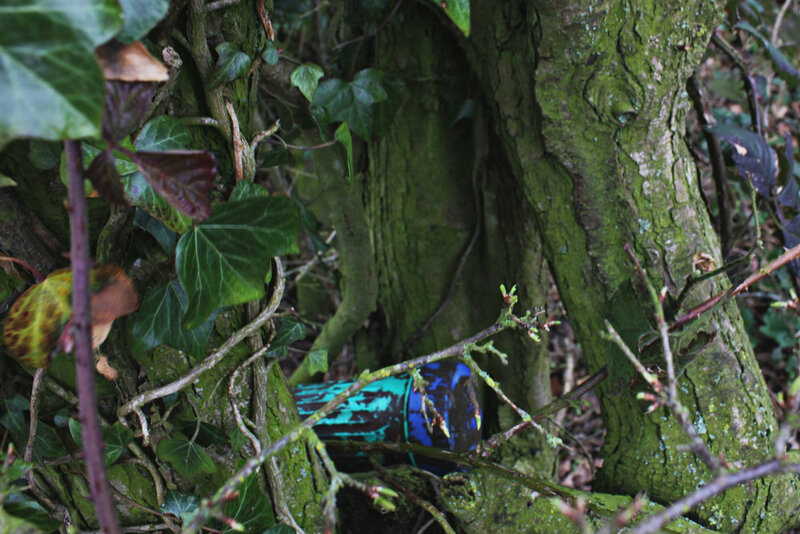 Geocaching is a free treasure hunt stretching across the globe. The easiest way to get started is by downloading the free app onto your phone. Look up your local area on the map, click on the nearest geocache, use the built-in compass and off you go. The caches range from common tupperware boxes down to tiny inch long containers with lots of ingenious solutions in between. The most bizarre one we have found was a gigantic set of rubber teeth hidden in a camo bag. The hardest ones look like screws on benches or faux rocks on the ground! 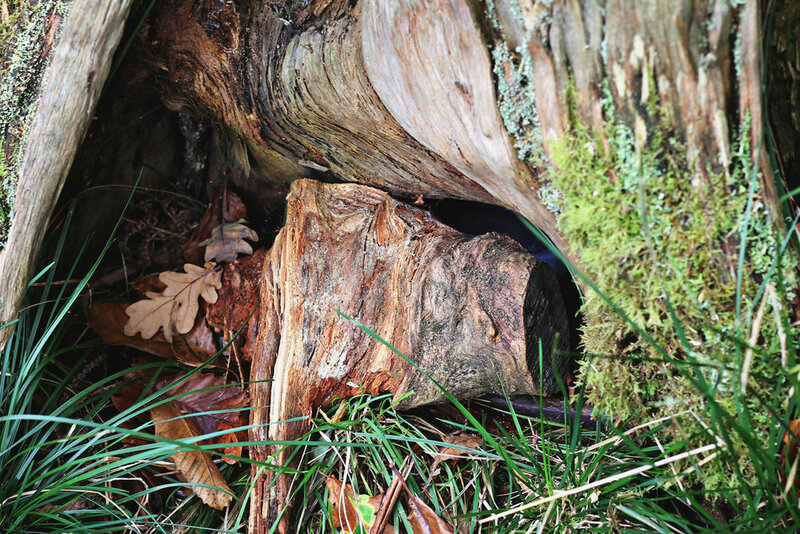 There are always clues to help you, and there is a log of all the recent finds and comments on the app which can help a lot with the trickier ones. Some are tiny and only have rolled up paper in to record your find, while others are large enough to contain treasure to trade. We always set off with a hoard of treasure (toot) to swap. Our favourites are toy animals, little army men, foreign coins, plastic bugs, balls, rubbers, conkers, marbles, badges and cars. You can go deeper into the geocaching world and upgrade to the premium level with all manner of different series and puzzles but the free app is more than enough to keep us busy. They are on high streets, along canals, down side streets, on footpaths, in churches, in the middle of woodlands, out in fields and up on mountain tops. It’s great to see the Woodland Trust and National Trust getting involved and encouraging people to hunt around on their land too. We like going with lots of different groups of family and friends. 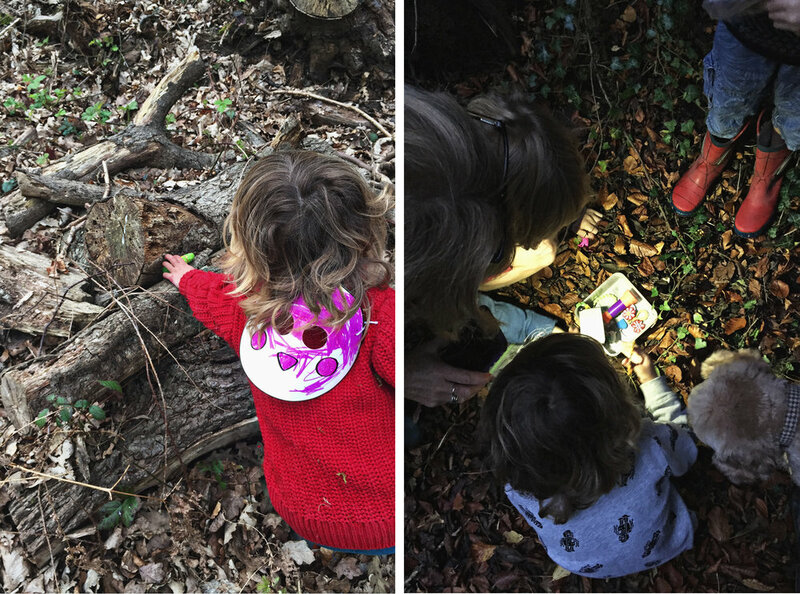 It’s fun to see who just 'has to find the cache' - competitive parents coming into their element, and those who don’t give a fig and would rather just throw mud around. I think it adds something to a stroll, especially if its cold, or kids have achy legs. I like to get close to a geocache and watch the ‘achy’ legs run off into the distance, giddy with the prospect of being the one to find the treasure! Off you go and have fun – be careful though, its pretty addictive!